I want to encourage your to treat you target list in the entertainment industry the way you want to treat your friends. Fostering relationships means there is a balance between the two people involved, a give and take. We all have a friend that loves to make most things about them, and you might feel the balance of that friendship seems off. Similarly, if you are only sharing career updates about yourself, not only does it feel inauthentic, but also imbalanced. 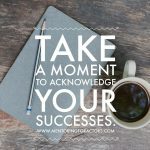 That being said, let’s talk about what you can share in your next marketing blast. It doesn’t always have to be about you, make it about someone else. 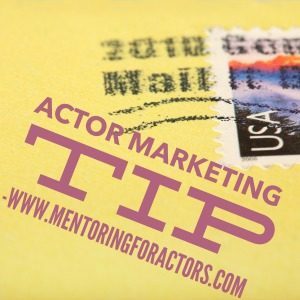 If you have a list of Casting Directors you keep in touch with regularly, which I hope you do, it may be time to send something out about them. For example, the 2017 Artios Award nominations came out in September, and the ceremony will take place in January 2017. It’s not to late to say congrats! They’ll feel appreciated. Check out the nominees and see if you know anyone on the list. Just being nominated is an honor, so let the people on your target list know you are rooting for them. Remember, acting work can be inconsistent, don’t let your lack of bookings be the reason you stop fostering your relationships, it’s your job to be consistent, treat the people on your target list like human beings, be yourself and have fun. What is a creative marketing outreach you did recently that you felt proud of? Share it in the comments below.